1972: Launched by Clelands Shipbuilders Ltd, Wallsend for J. Marr & Sons Ltd, Fleetwood as JACINTA. 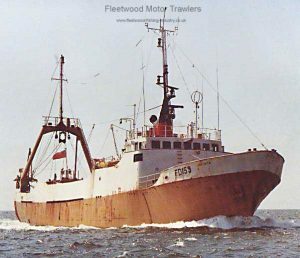 Registered at Fleetwood (FD159). 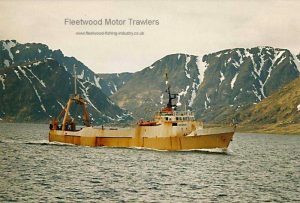 1975: Became the record breaking vessel for a Fleetwood wet fish catch when she landed 188 tons after a 19 day trip to the Icelandic fishing grounds. 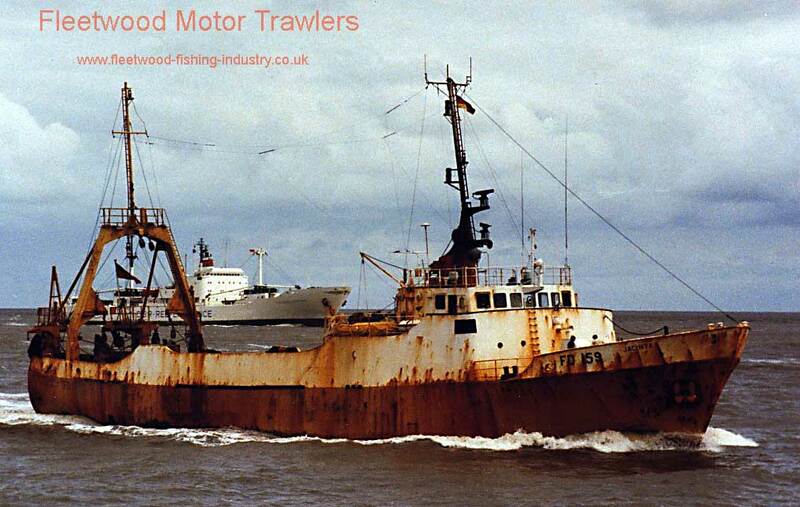 1986: Britain’s top earning trawler when her catch value was over £1.3 million. February 1991: Skippered by Dennis Beaumont, JACINTA set a British record catch landing 230 tons which sold for £270,516. 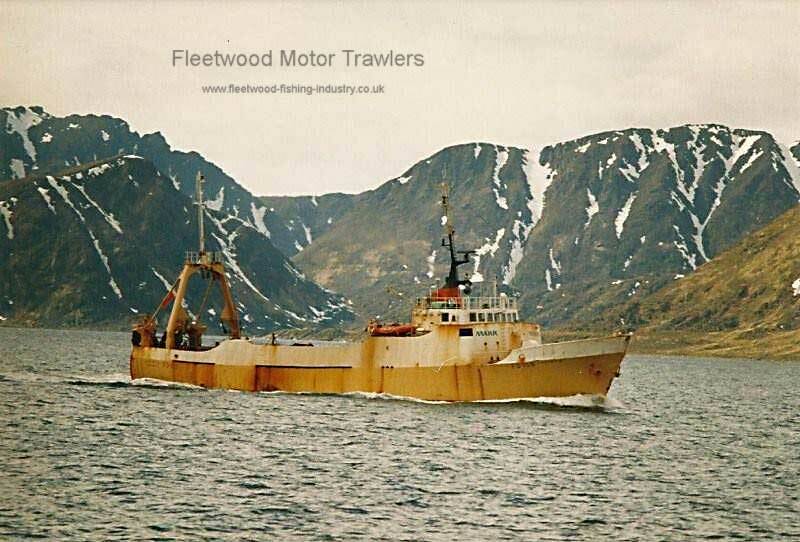 1994: Top earning British trawler earning over £1.9 million over 10 months. 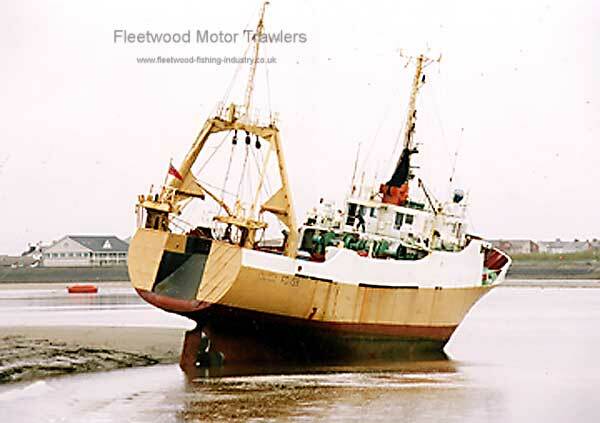 09/02/1995: Left Hull under tow for Fleetwood to become the focal point of a maritime museum after engine repairs were judged too costly. As a trawler working out of Fleetwood, The JACINTA became the most famous stern trawler of her generation. She returned to port with record catches and soon covered her building costs many times over. After years at sea, her engines failed and she seemed doomed for the scrapyard. However, a group of local Fleetwood people rallied to save her and she was bought from her owners for just one pound, and was towed home to Fleetwood. 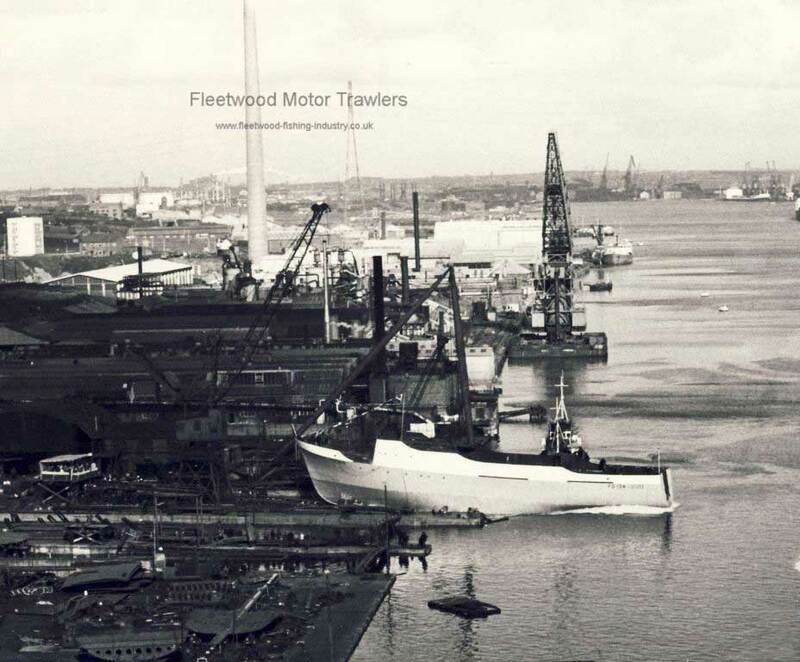 She was then fitted with a new engine to enable her to go to sea and attend heritage festivals. In her 23 years at sea she earned over 17.3 million pounds. 10/09/2017: Removed FMHT watermark and added an image. 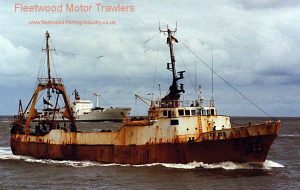 This entry was posted in Marr, Motor Trawler on 14th October 2016 by Howard Small.